Two of the world's biggest YouTube stars - 25-year-old KSI and 23-year-old Logan Paul - will be taking their fighting talk into the boxing ring on Saturday evening, to settle an ongoing online beef. A former US state wrestler who is known mostly for his prank videos online, Paul made his name first on Vine before moving on to YouTube in 2015.He now has over 18 million followers subscribed to his channel and has racked up more than 3.9 billion video views.However, Logan Paul's videos have not always proved popular. Earlier this year he apologised after he was criticised for filming a dead body at a suicide hotspot in Japan. 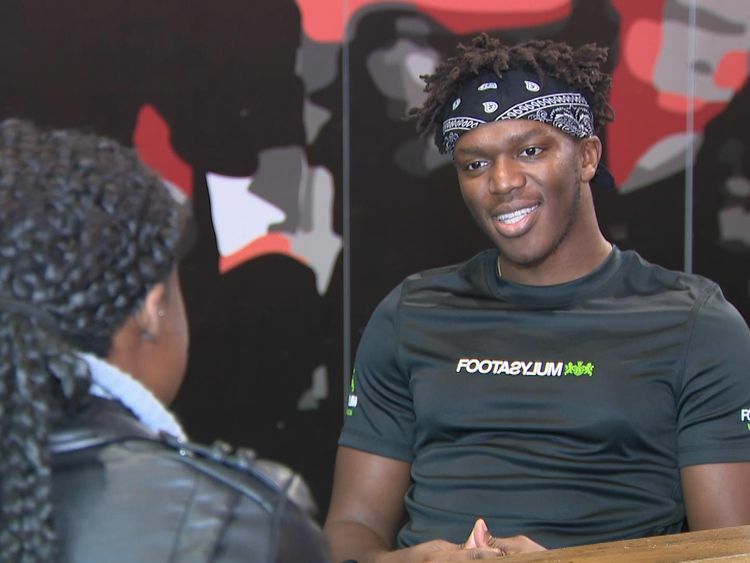 His rival, KSI - real name Olatunji Olajide - originally from Watford, Hertfordshire, started his YouTube career in 2009 at the age of 15 and made his name by making videos of himself playing the FIFA football video game.He now has more than 19 million subscribers and a whopping 4.4 billion video views on the video-sharing platform.This will not be the first time in the ring for KSI, who won a boxing match earlier this year against another social media star, Joe Weller. That fight racked up more than 50 million views. It is believed that more than a quarter of a million bets on the outcome of the event have been made with both stars having trained for months in order to win the fight. "I've trained six days a week, twice a day, for the past five months - the strictest, most advanced regiment I have ever been on," Logan Paul told Sky News. "I've never worked this hard for something in my life, ever, and I know for a fact I am going to win this fight. 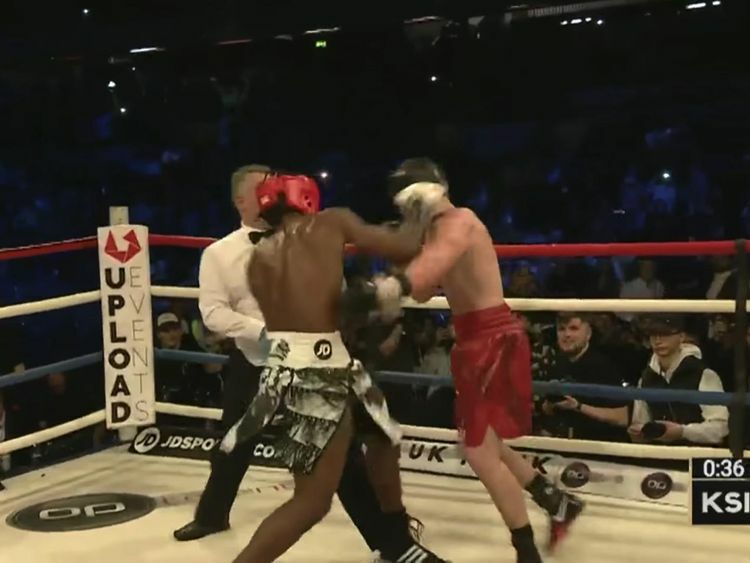 "But KSI dismissed his opponent's confidence, playing down his ability to come out on top. 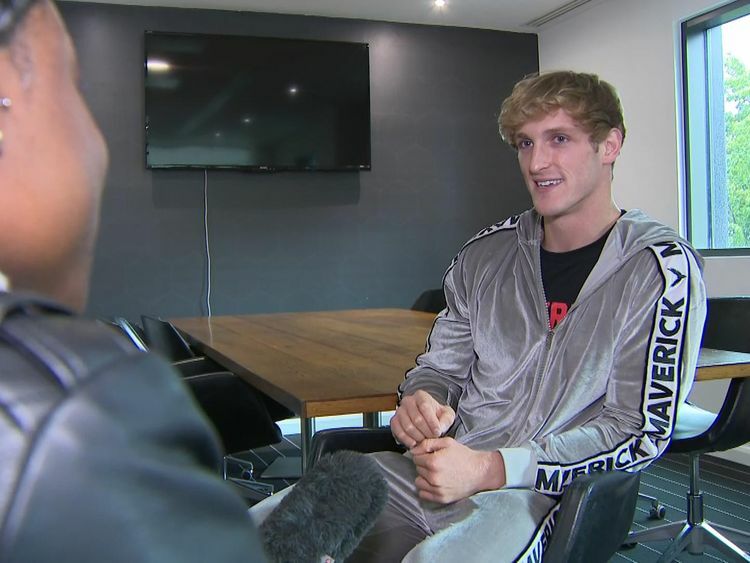 He told Sky News: "100% I am going to win... he [Logan Paul] is more athletic but he's not more experienced. "I'm in his head, so he's going to say what he needs to say to think that he's better than me - but he isn't. "The fight will cost €7 on YouTube and standing prices at Manchester Arena, where it takes place, range from €34 to €516.